Give your whole family access to the advanced photo editing tools of Photolemur Spectre. A normal photo is worth 1,000 words, but the advanced editing tools of Photolemur Spectre will leave people speechless. Get this photo editing app, which is enhanced with artificial intelligence to make your pictures pop. You can get a family license on sale for just $19 (approx. £14)! 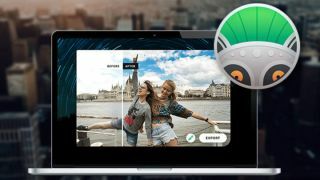 Photolemur Spectre makes it easy to pull out the best elements of all your pictures thanks to its advanced tools that make editing a breeze. This app is the world's first automated photo enhancement tool for Mac. It's powered by artificial intelligence that can analyse a photo and touch it up in a matter of minutes, saving you tonnes of manual labour. This app will work its magic on any photo to make it ready for your to share proudly on social media or frame on your wall. You can get a family license for Photolemur Spectre on sale for just $19 (approx £14). That's a savings of 61% off the retail price for tool that will improve your photos with nothing more than a click, so grab this deal today!